DAVID LE/Staff photo. 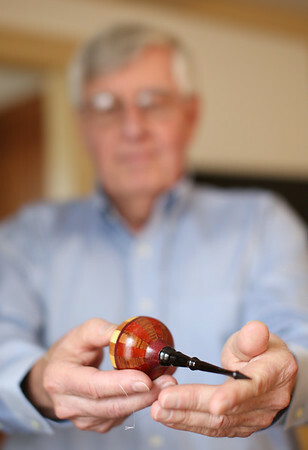 John VanRemoortel makes small ornaments among other wooden items in his wood shop which is housed in a barn in the backyard. 10/9/15.